Animals are not the only residents relying on the Okavango Delta. The rainy season creates an inland freshwater marsh near Maun, Botswana. 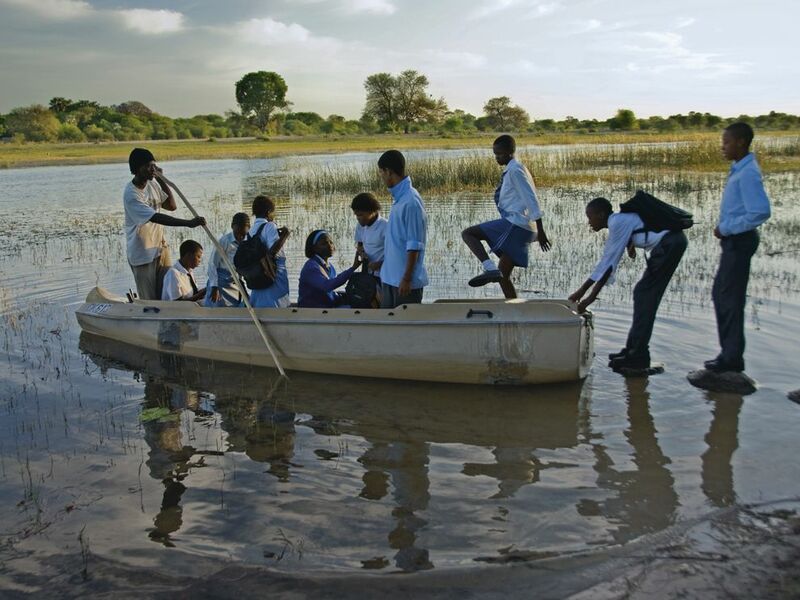 Local Botswanans, used to the rainy season, have a boat ready to take students to school across the marsh.